This offer is only valid for the new players signing up at this online casino for the first time. Players must opt-in to this bonus by going to the promotions section to be able to receive this bonus. A minimum cumulative deposit of £10 is required to be eligible for this promotional offer. How to Claim Eurogrand Live Casino Sign up Bonus? 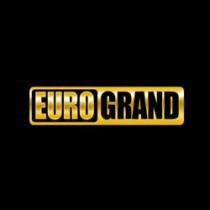 Visit the Eurogrand casino website. Click on the 'join now' button. Fill the registration form and log in to your account. Stake minimum £10 on any live dealer games. Bonus funds will be automatically added to your account. A minimum wagering requirement of 30 times the bonus amount is applicable on all the winnings from this promotional offer. Only the promotional games contribute towards wagering of the bonus funds. The contribution of different games towards the wagering varies and can be checked before you start playing. This promotion will be valid until 31st August 2019. Bonus funds can only be used on selected promotional games viz Live dealer Blackjack and Roulette tables. The £5 bonus will expire after 24 hours of being added to your account. Bonus T&C : Opt in required. Min deposit £10. Max bonus £300. 40x wagering requirements on bonus funds. Free spins, deposit bonus and bonus spins expire after 24 hours. New Customers only. Player currency, country, game restrictions & full terms apply. Bonus T&C : Weekly opt in required. £5 stake required, Max Bonus 25 Free Spins with 30x wagering on selected games only. Bonus expires 24 hours from issue. Offer runs every Sunday from 00:00 -23:59 (GMT). Currency, country, games, player restrictions and full terms apply. Bonus T&C : Weekly opt in required. Max. 7 Free Spins with 30x wagering on Stars Ablaze™. Bonus expires 24 hours from issue. Max Redeemable from spins €10. Offer runs every Thursday from 00:00 -23:59 (GMT). Currency, country, games, player restrictions and full terms apply. Bonus T&C : Weekly opt in required. £5 stake required, Max Bonus 10 Free Spins with 30x wagering on selected games only. Bonus expires 24 hours from issue. Offer runs every Friday from 00:00 -23:59 (GMT). Currency, country, games, player restrictions and full terms apply. Apart from Eurogrand Casino bonuses & promotions, find other latest casino promotions ranging between No Deposit & Deposit Bonuses along with their bonus/promo codes here!